Theoretical question: What does a congressman who never bothered to tie his tie properly, comb his hair, or button his top shirt button even when he was trying to win elections dress like after he's announced his retirement and stopped caring entirely? It really is an interesting theoretical question. 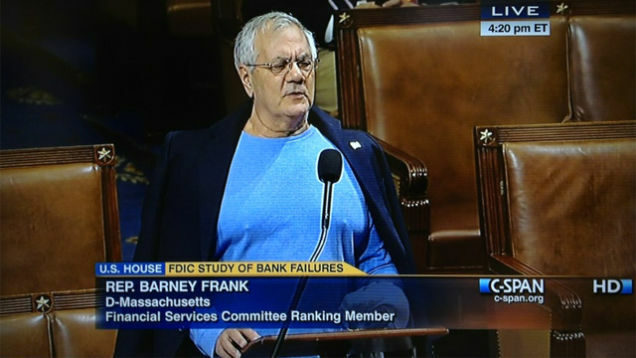 In other congressional news, here's a photo of the makeshift suit Rep. Barney Frank must wear as he recovers from a ligament injury in his left arm.